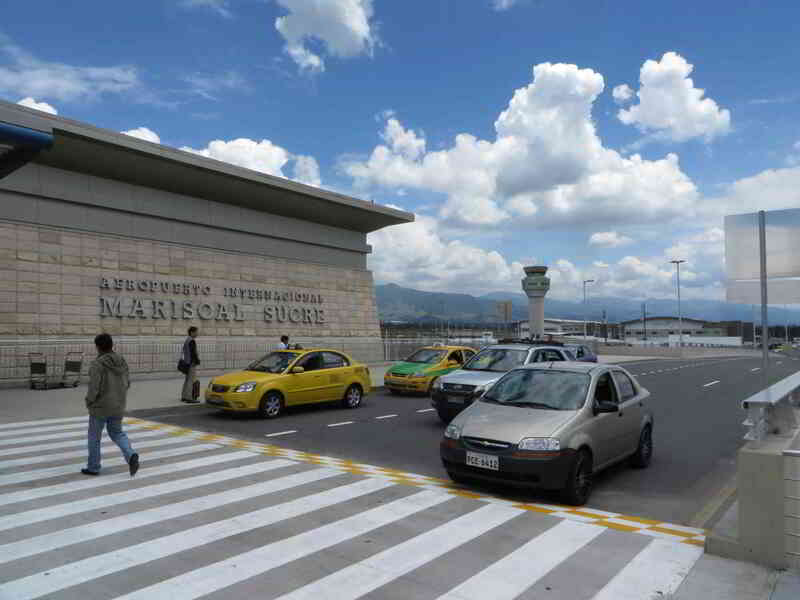 New Quito Mariscal Sucre International Airport, is Ecuador's busiest airport and an important airport for connections to other destinations in South America. 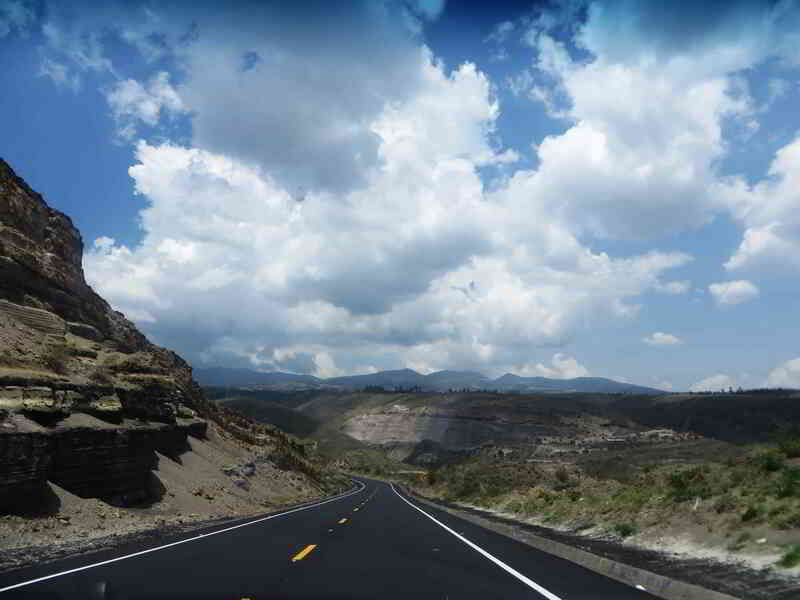 Opened in February 2013, is located on the Oyambaro plain near the town of Tababela at a distance of about 18 km or 11 mi east from Quito. 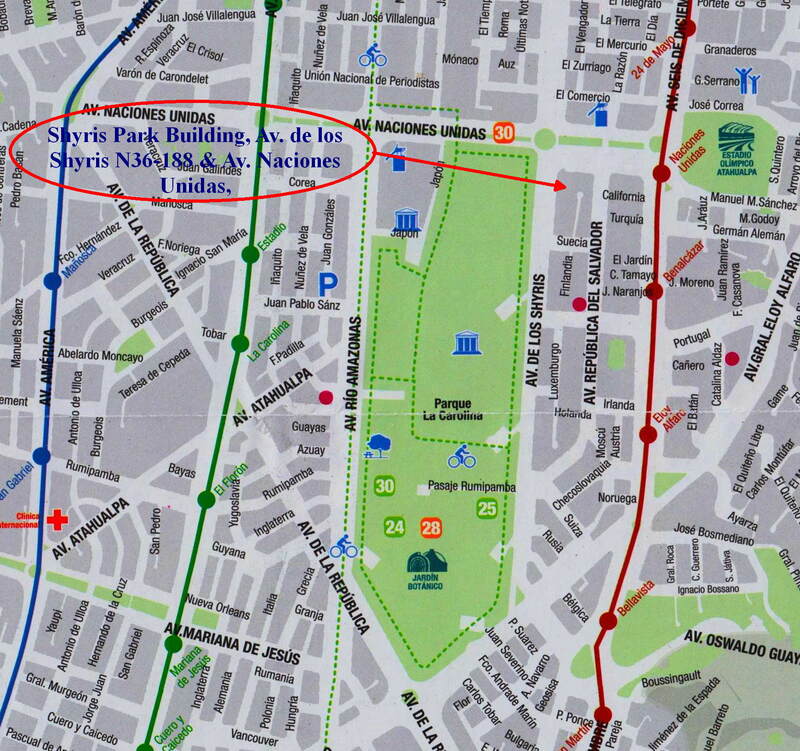 The new airport replaces the old one in the North of the capital, which - surrounded by residential neighborhoods - will be converted into a city park. 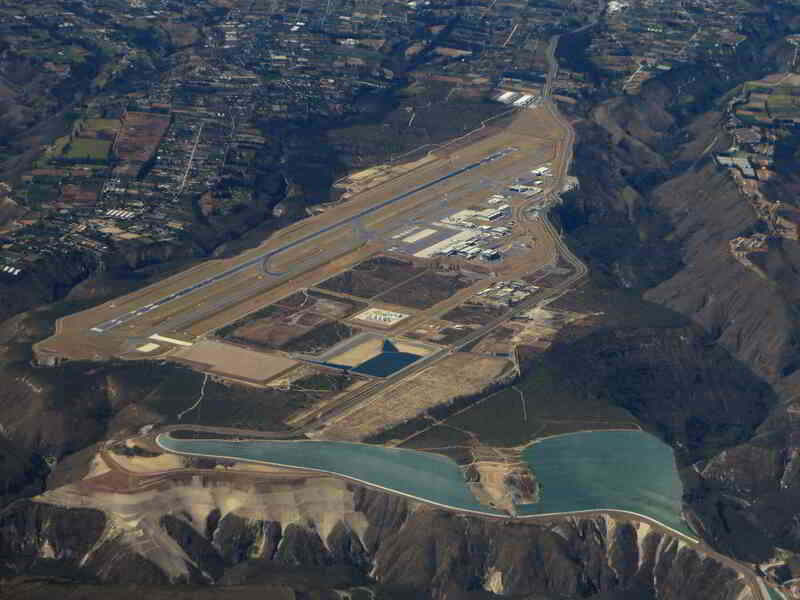 The new state-of-the-art facility, both terms of design and its air navigation systems, CAN handle over 5m passengers per year and the runway is long enough to accommodate the landing of an Airbus A380, the world�s biggest passenger aircraft. 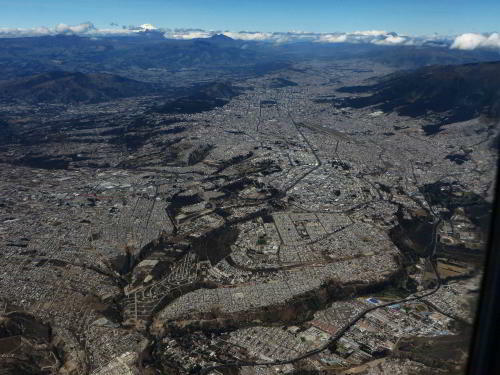 Quito handles more than two thirds of Ecuador�s international traffic, and is ready to expand its connections to all capitals of South America. Modern shopping center at Mariscal Sucre Airport. The Newest airport in the Americas, Quito Airport is a beautiful modern and efficient hub for reaching any capital in Latin America. 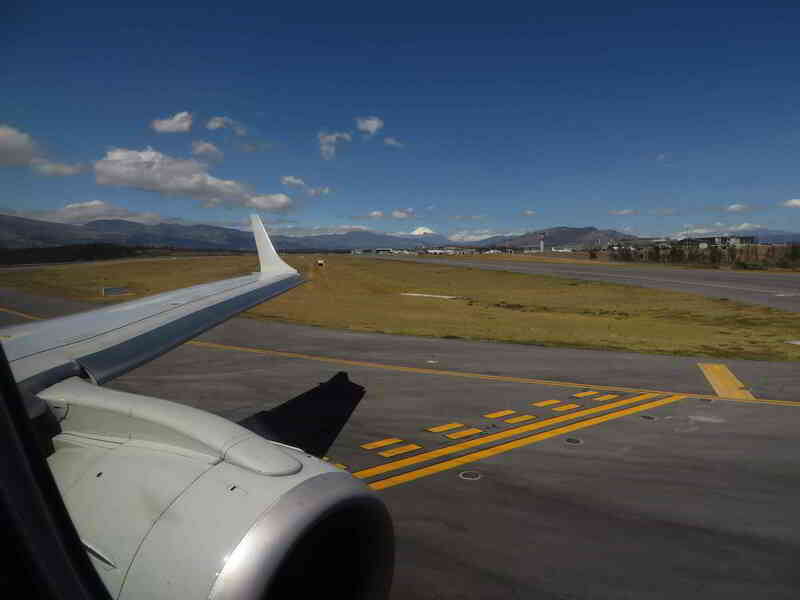 The modern Tame Embraer Quito - LagoAgrio the airport for Cuyabeno. 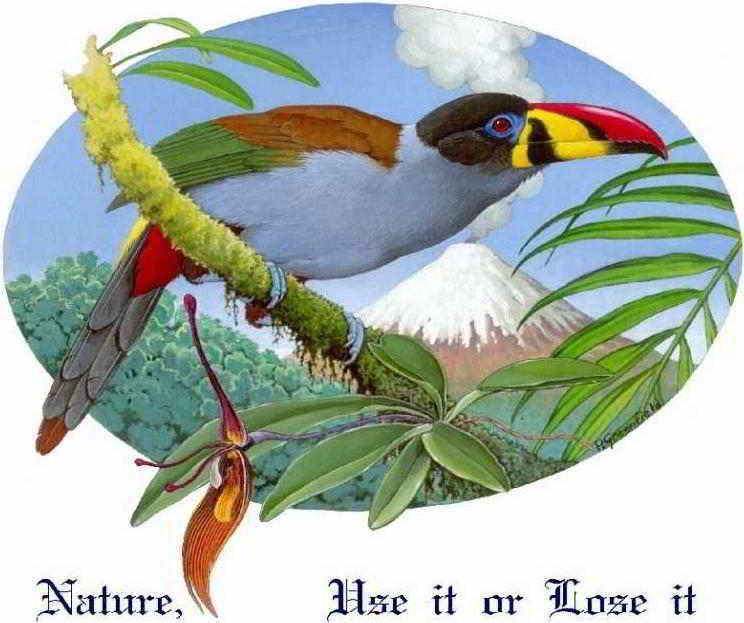 Note the the beautiful Cotopaxi snow cap right of the wing tip when you click on the image to enlarge. Quito Mariscal Sucre International Airport has been built on a mesa mountain plain at about 20km from the capital. The Standard taxi fee is $25, while a bus shuttle between the location of the new and old airport costs $8, but then from there you still need to take a taxi to your destination, which usually is between $5 - $6. It is possible to stay in the town of Tababela for anywhere between $25 and $45 which usually includes airport transportation (11 minutes). 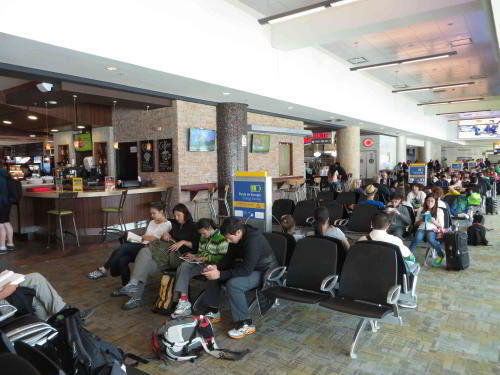 The airport is the main hub and home base of TAME, Transportes Aereos Militares Ecuatorianos, the Ecuadorian national carrier, which started its regular international flights on April 30, 1966 by flying to Havana, Panama and Santiago de Chile. The airline, with an average of over 220 daily flights, changed its legal status in 2011 to a civilian state owned company, that no longer under the administration of the Air Force. 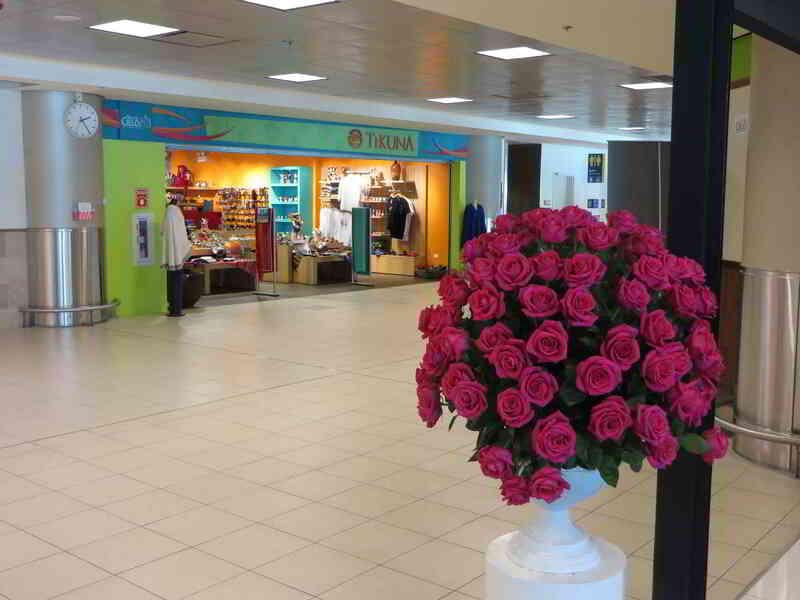 Currently Tame serves 15 cities in Ecuador, Cali and Bogota in Colombia, Havana in Cuba, S�o Paulo in Brazil, Buenos Aires in Argentina, New York in the United States, Caracas in Venezuela, Lima in Peru and Panama City. 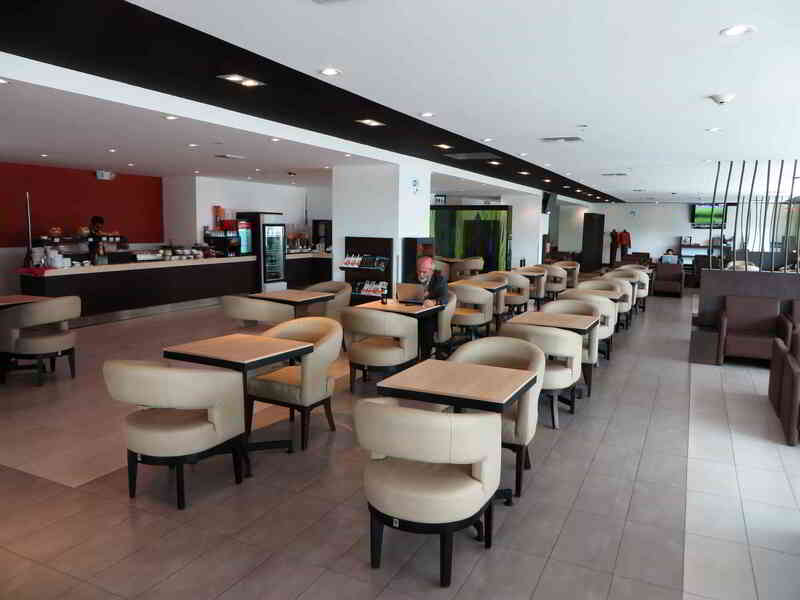 All destinations are served from the primary hub Quito (UIO) and the secondary hub in Guayaquil (GYE), except the flight to Cali which stops at Esmeraldas. The new waiting rooms are spacious and comfortable with plenty of restaurants at the food plaza to chose the food and drinks to accommodate anybody's taste and budget. 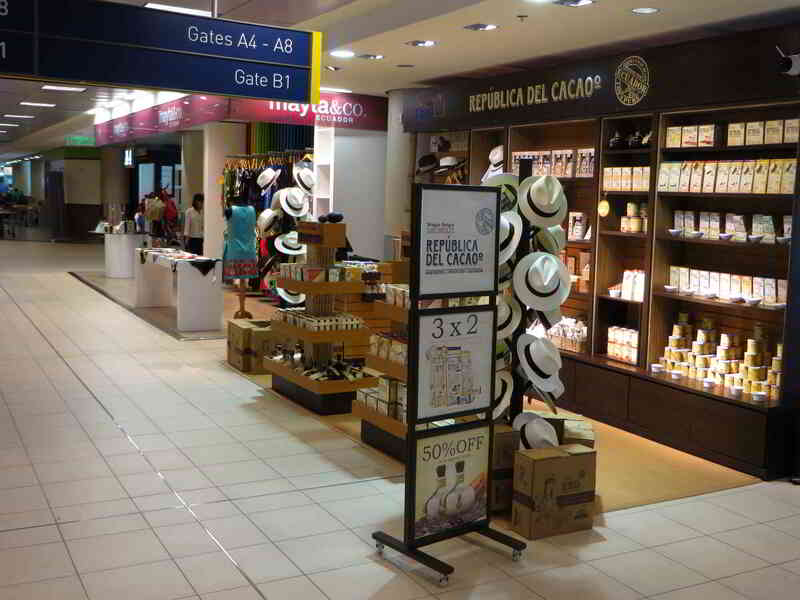 The duty free shops are tastefully designed and offer a variety of products where passengers have a last chance to take home Ecuadorian art and craft to their friends and family. A comfortable modern VIP-room attends to business class passengers. 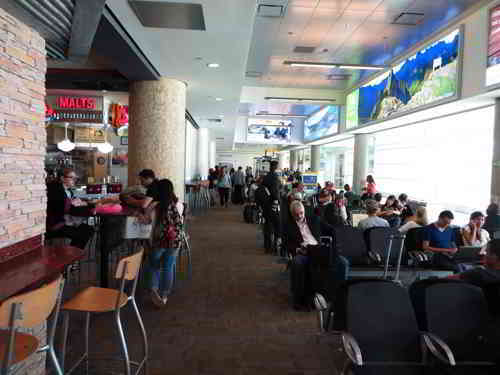 The luxurious VIP room offers free beverages and snacks and allows you to check your email before boarding your plane. Quito no longer is burdened by low flying airplanes. 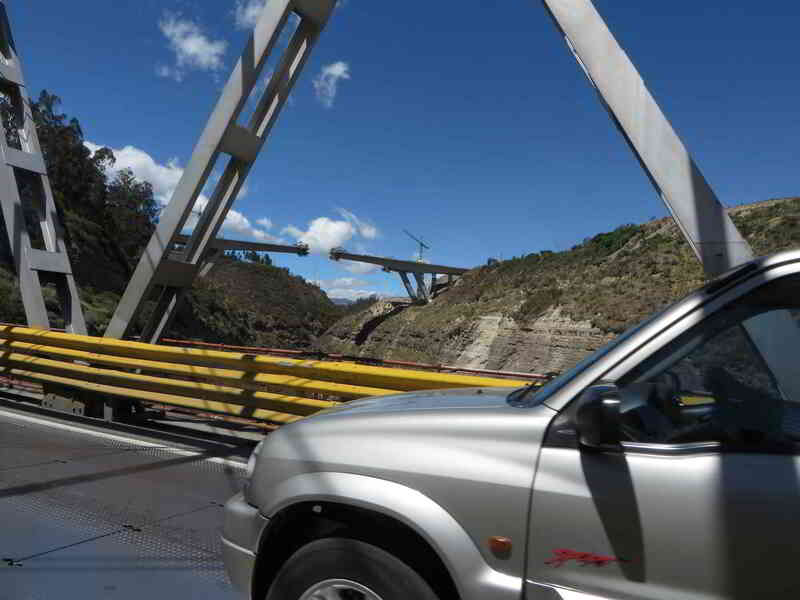 A new 4 lane bridge has been constructed across a deep canyon was finished in 2015. 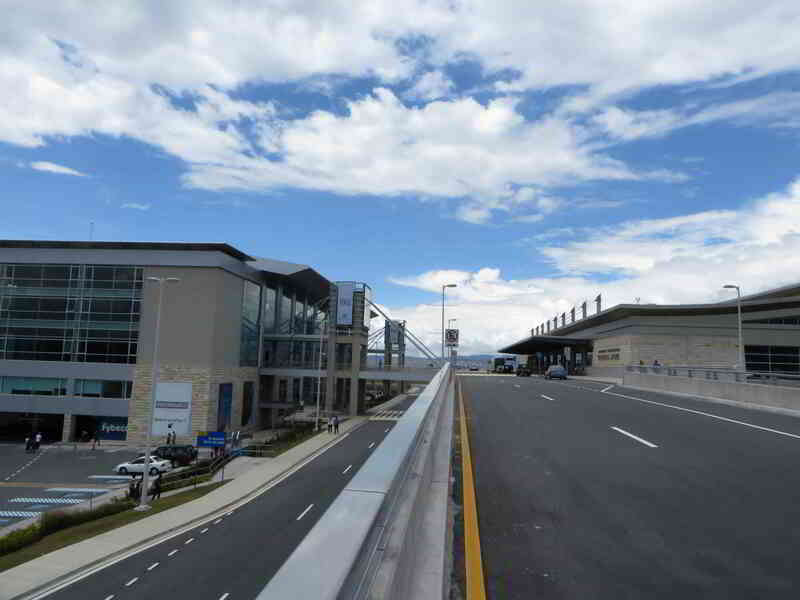 No longer burdened by airplanes landing and taking of from an airport amidst residential neighborhoods, Quito is now connected with two new 4 lane highways to the airport, making New Quito Mariscal Sucre International Airport (UIO) the best accessible international in all of South America.